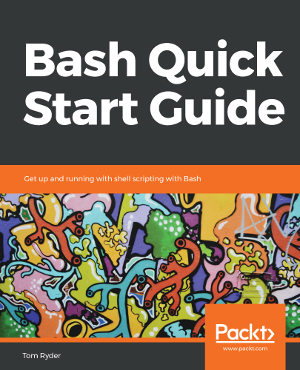 In September 2018, my Bash Quick Start Guide was published with Packt Publishing. It’s a crash course in writing and reading Bash and POSIX-fearing shell script in general. It’s available in both ebook and paperback formats, and is reasonably short (180 pages). The aim of the book is to demystify shell and make it pleasant and expressive to write. It’s ideal if you’ve used Bash before, but just picked it up as you needed it, along with the bad habits that a lot of material on the internet suggests. It focusses on correcting these common mistakes and writing shell script in a way that’s robust and relatively easy to understand and manage.